UPDATE: Sorry all keys have been given out. ArcheAge – pronounced Arr-chee-ahh-jee, probably – is chasing the one thing MMOs lack: a sense of permanence. 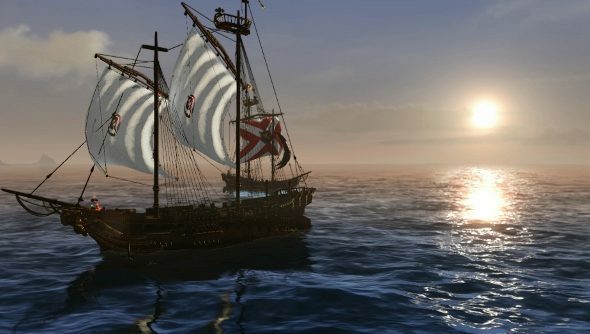 In a genre where quests can be reset and progress undone in seconds, ArcheAge is about ownership: sailing the seas in a ship you’ve built yourself, or renting out land to other players. Like the sound of that? Go on, then: grab a key for the beta beginning tomorrow. Bash your details into the widget below, if you don’t mind – and make sure you’ve created and signed into a PCGamesN account before you do so. We’ll keep you updated on this and future giveaways via Twitter and Facebook. It’s important to note that these aren’t Steam codes – like proud allotment owners, MMO developers always make their own everything. You’ll need to visit the ArcheAge account pageto redeem yours. ArcheAge is exciting in the way Star Wars: Galaxies once was. That ship? You can captain a crew of friends from its wheel. But beware a life of piracy: your crimes could see you held to account in front of a player-run court and banished to an island for thieves. Or maybe you’ll use some of your booty to bribe the jury into a ‘not guilty’ verdict. What was the last MMO you played that gave you that sort of freedom to make your (cross-shaped) mark on the map?